Ready to write? - Make Time. It’s the infamous hump day in my writing week and I felt it on my morning run. I had to shuffle my way up every hill one tiny step at a time. Toward the end of the run I did get an idea for a short story I’ve been mulling over that I look forward to drafting soon. So, I suppose though I was power-walking toward the end of the run, in one sense I finished strong. I’m about to settle into writing for the day now. 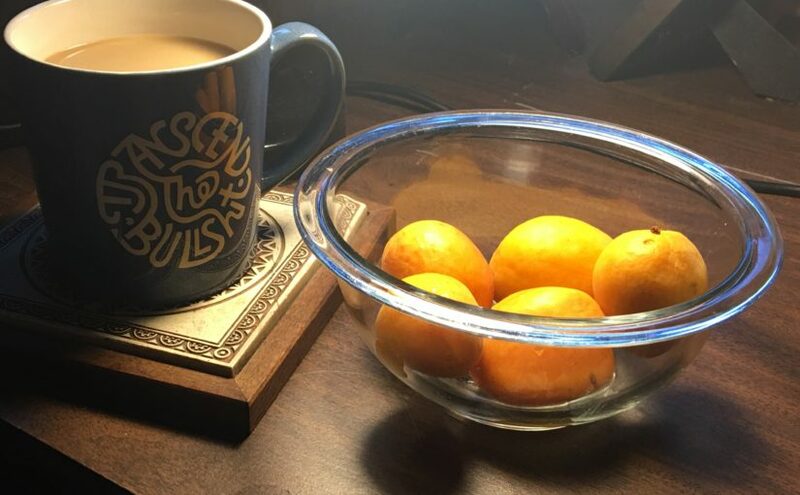 I’ve got a fresh cup of coffee and a bowl of apricots to guide my way. A pair of noise cancelling headphones arrived in the mail this week and they are amazing. Most of the time, I don’t even put any music on, I just wear the headphones to muffle distractions. When I finish this blog, I’ll jot down my goals for the day and get to work. Who knows what the day will hold for me, but I showed up. How about you? How are you showing up for your creative work today? This entry was posted in A Room Of Your Own, Inspiration and tagged amwriting, create, maketime, roomofyourown, routine, showup on 2016-07-20 by lizshine74.